At the College of Chiropodists of Ontario, we are committed to enhancing transparency in our processes, decision-making and the information we provide about Chiropodists and Podiatrists. The public’s increased call for all organizations -particularly those with a public interest mandate- to be open and transparent has resulted in a province wide initiative focusing on the transparency practices of all the health regulatory Colleges. 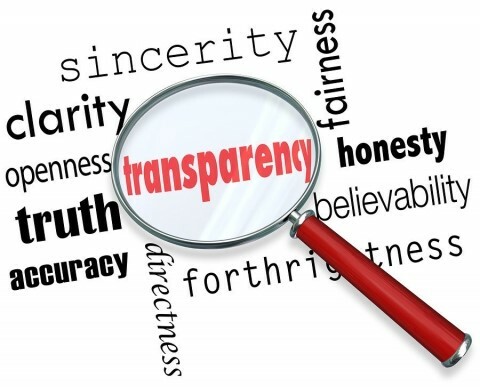 The guiding principles relating to transparency recognize that access to more information may assist the public in choosing a regulated health professional, enhance accountability and better inform any evaluation of the performance of self-regulation. In 2012, a group of health regulatory Colleges (Advisory Group on Regulatory Excellence – AGRE) formed to address regulatory issues and develop policy recommendations. One of the group’s initiatives focused on transparency – specifically, what information Colleges have about health care professionals that should be made public. AGRE developed principles to guide decisions about what information should be made available about health care professionals. In 2014, the AGRE principles were approved by the College of Chiropodists. The College is committed to increasing transparency in our processes, decision-making, and in the information we provide about registered Chiropodists and Podiatrists in Ontario. In October 2014 the Minister of Health wrote to all the health regulatory Colleges in Ontario regarding transparency. Letter from the Ministry of Health and Long-Term Care. On November 27, 2014 the College responded to the Minister of Health College response to the Minister’s letter and the Appendix to the College’s response.